In 2015, we’ve partnered with Kohl’s for the #MakeYourMove campaign. We want to know how you plan to #MakeYourMove toward a healthier you. 35 days until Halloween, and let the festivities begin. Halloween is known for candy galore, but there’s more room for some healthy tricks and treats than you might realize. 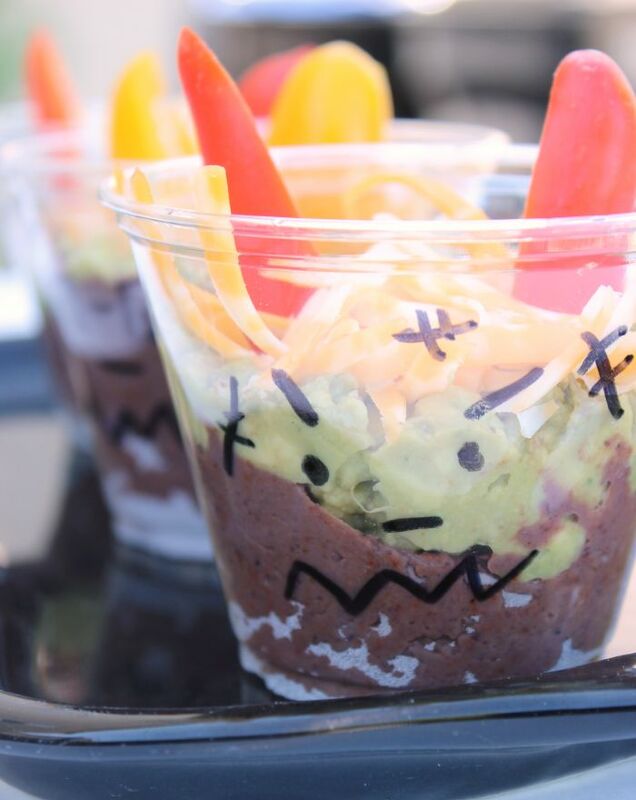 We’ve compiled a list of healthy Halloween recipes for all ages to enjoy, and a few tips for planning a healthy and happy Halloween party. It’s easy to look at that candy pile and throw all caution to the wind, but before you start chowing down on chocolate peanut butter cups, read these healthy tricks for enjoying a festive Halloween with a healthy twist. Eat the candy – but only a few. You know what your favorite piece of candy is. Don’t settle for those generic hard candies that no one even really likes (but somehow thousands appear in your house every Halloween). Reach for that chocolate peanut butter cup and savor it, enjoy it. And watch your portion size as well- settle for 1-3 pieces, not an entire goody bag. If you’re like me, you can’t keep an excess of candy in the house. I can practically hear it calling to me from the kitchen cupboards, singing its sweet sugary song. For me, the smartest choice is to give away as much of that candy as I can so that I don’t give in and eat an entire bag of Snickers Minis while watching Hocus Pocus for the 1893728th time. And leave the kids’ candy alone! Let them enjoy it (not too much at one time, of course), they earned it. Go for festive, not fattening. One of my favorite things about Halloween is the creativity of the food. It doesn’t have to be all candy and chips. In fact, some of my favorite Halloween snacks include craftily cut fruits and vegetables, deviled eggs made to look like pumpkins, etc. There are so many creative ways to make healthy treats (just check out the recipes we’ve got below!) that don’t involve an overdose of sugar. Save the sugary stuff for your perfectly portioned helping of candy, and stick with that. Let the decor speak louder than the food. Haunted houses, scary mazes and cute pumpkins cause way more excitement than a bowl of tortilla chips. Go for the Halloween gold with cute and spooky decorations that will transform your home. Here are some fun options from Kohl’s to take your home from glum to ghoulish. No tricks here, these treats are festive as well as healthy! Indulge in these treats for the season – including a special Mulled Apple Cider Recipe we made just for you. In a large pot, bring cider, cinnamon, cloves and sliced oranges to a boil. Stir in sugar or stevia until dissolved. Lower heat to lowest setting and simmer for an hour. Pour over strainer or sieve to remove spices and orange slices. If desired, stir in Rum before serving. This is a perfect warm drink for parents to enjoy as they take the kids trick or treating! Trick or treat yo’ self with these tips for a festive and healthy Halloween! Find more recipes and tips for healthy living on our #MakeYourMove Pinterest board. You’re welcome! Hope they can help you out this Halloween!